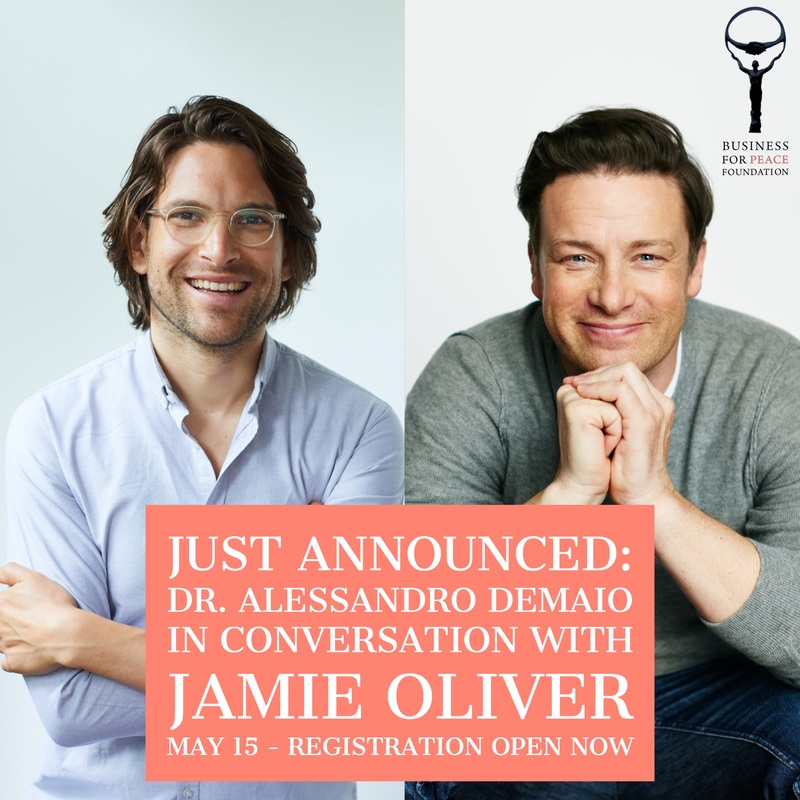 Last month we announced that chef and business leader Jamie Oliver would be giving the annual Business for Peace lecture this May. Now, we’re pleased to share that Alessandro Demaio, the new CEO of EAT Foundation, will be joining him on stage. It’s sure to be an engaging conversation about nutrition, trust, and how businesses can take the lead. This entry was posted	on Wednesday, April 11th, 2018 at 18:09	and is filed under Blog, News. You can follow any responses to this entry through the RSS 2.0 feed. Both comments and pings are currently closed.